The 25-passenger minibus is one of the best options for groups too large for rideshare services and public transit. If a charter bus is too large for your unit, consider renting a minibus that’s fitted with a number of advanced safety features and amenities. 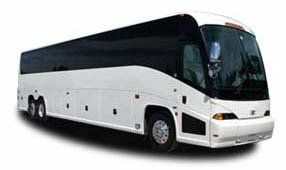 Las Vegas Charter Bus Company works hard to ensure that all of our clients get everything they need for their trip. If you’re ready to book your next trip, give us a call today for a free quote and more information about our services. Our 24/7 customer support team can be reached at 702-780-0886.